In addition to English Ines speaks fluent Spanish and mediates in Crouch End, London N4. Ines has a first class law degree and obtained a PhD in Jurisprudence from the London School of Economics. She was a senior lecturer in family law and jurisprudence at the Metropolitan University. She has a certificate in counselling skills and attitudes from the Westminster Pastoral Foundation. Ines trained as a mediator at the Institute of Family Therapy in 1985 and since then has practised as a mediator at four different services. She is accredited as a mediator by National Family Mediation, the Family Mediators Association and by the Legal Services Commission. 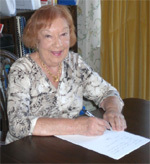 She has extensive experience in mediating in all types of family disputes, including property and finance. Ines is also a Professional Practice Consultant for all the Family Mediation Council approved training bodies and for the Legal Services Commission. She is a member of the Family Mediators Association and Resolution. She has done research in legal philosophy and family law and had articles published on contact with children, shared residence, child abuse, maintenance agreements and consent orders and other family matters. In addition to English Yvette speaks fluent Polish and mediates in Winchmore Hill, London N21. Yvette has a degree in Sociology from the London School of Economics, a social work qualification in medical social work and an advanced counselling qualification from the Tavistock Clinic, where she worked in the Department for Children and Parents. She has practised as a social worker, family therapist and counsellor in a variety of settings, such as Child Guidance Clinics and a Department of Family and Child Psychiatry. She was a senior lecturer in Social Work at the Metropolitan University. There she also designed and ran an evening mediation course for a number of years. Both she and Ines Weyland taught on the course. Yvette is accredited as a mediator by the Family Mediators Association and by the Legal Services Commission. She has acted as a Consultant and Supervisor for Mind and National Family Mediation and currently acts as a Professional Practice Consultant for all the Family Mediation Council approved training bodies and for the Legal Services Commission. Yvette has been a mediator since 1989. She is a member of ADR Group. She has expertise in family therapy and has been a member of the Association for Family Therapy. 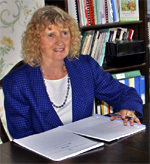 She has a special interest in children's issues and her publications include "Divorce, the Child's Point of View". Yvette can offer mediation in Polish and Ines can offer mediation in Spanish.